Limited to 20 cars out of the total 500-car run, the "110 ans Bugatti" sports the French tricolour in several places, in fact. Buyers have been limited to the virtually unchanged "42", which marked the car's record breaking performance, or the far more extreme Divo, which was an even greater departure from the standard vehicle than expected. That's why you'll see the "Le Bleu-Blanc-Rouge" (tri-colours of France, namely blue, white and red) proudly adorning numerous parts of the exterior and cabin, including the huge deployable rear spoiler. 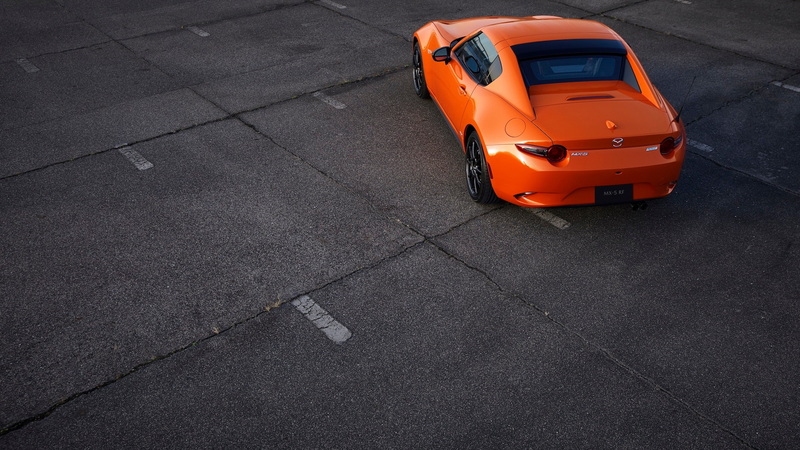 The front end consists of exposed carbon fibre in Steel Blue Carbon, once again a matt colour suggestive of steel. The matte black "Nocturne" alloy wheels frame bright blue brake callipers, while the aluminium filler cap has been sandblasted and hand-polished. 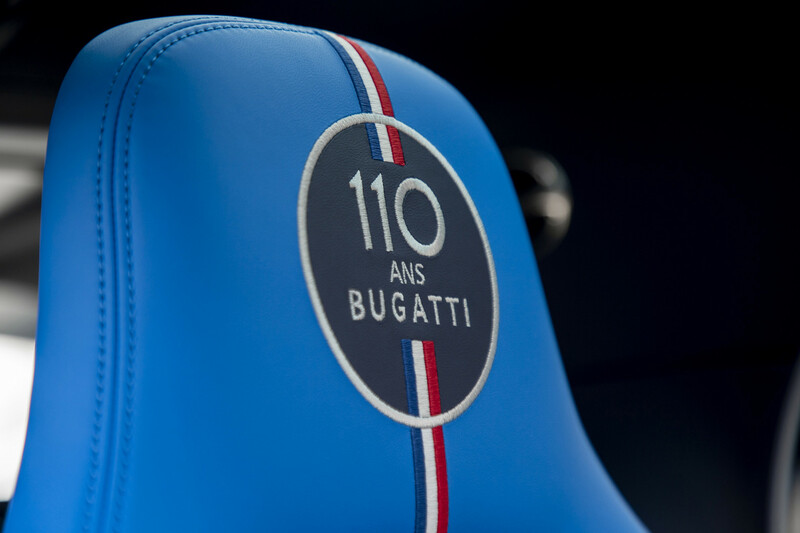 The seats feature a tricolour stripe up the middle and a "110 and Bugatti" logo on the headrest, while bits of carbon fibre appear on steering wheel, steering column, seat trims and so on. Inside the center console sits a medallion made of solid silver and enamel inserts, which sits on a carbon-fiber plate. In terms of its mechanical make-up, the vehicle boasts a quad-turbocharged 8.0-liter W16 engine that can jump from zero to 62mph in 2.5 seconds, and tops out at 261mph. It celebrates 110 years since the first ever Bugatti obviously, but takes few cues from that first vehicle. The door trims, sides and seat areas of the sports seats are covered in Alcantara. The 110 ans Bugatti even gets the Sky View roof as standard. The auto can accelerate from 0 to 100 km/h in less than 2.4 seconds, reaching 200 km/h in 6.1 seconds and 300 km/h in 13.1 seconds. "The design element also establishes a link to the historic Type 57 SC Atlantic, which is now one of the world's most valuable cars", says Achim Anscheidt, Chief Designer of Bugatti Automobiles S.A.S.